Below is a collection of logos I’ve created for various projects. 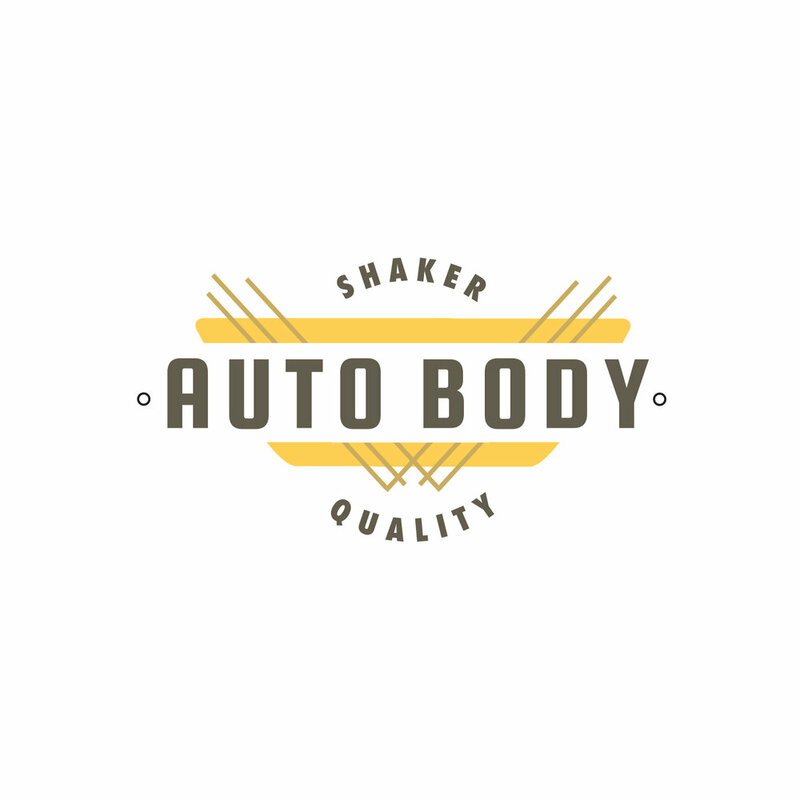 The one to the right is a logo I created for Shaker Quality Auto Body. Although it was a fictional project, this was a great exercise to learn the process of logo design. I went through hundreds of iterations to arrive to this final solution. 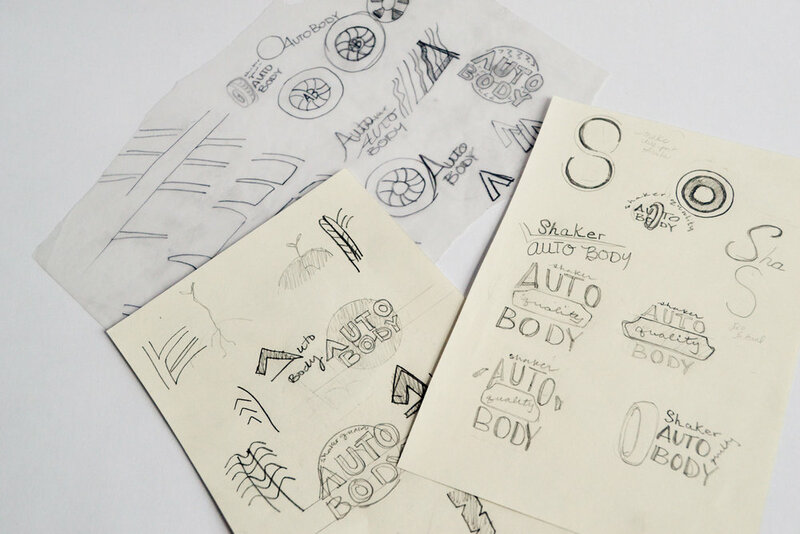 This logo is a modern take on the classic 1950's auto body shop style. Part of my process is detailed in the photo below. here is a Glimpse of the iteration process. Logos for a lawncare company, TruGreen. Logos for a vegan ice cream store, Ice Cream Joy.